At ALA we believe in the power of you and your ability to succeed. That is why every student is considered the most important and respected part of the ALA family. Our caring, nurturing and supportive network of highly qualified teachers and professional student services staff will provide a superior learning environment that will enable you to achieve your goals. We keep our classroom size small so teachers can give the maximum personal attention to every student. All our programs are designed with your learning needs in mind. Our teaching philosophy was developed using the latest theories and research-based approaches to language learning and teaching that focus on providing many successful learning outcomes for every student. ALA-Greensboro is authorized under federal law to enroll nonimmigrant students and to issue Form I-20 for F-1 visa students. ALA locations specialize in intensive academic English - Preparatory, Academic and Advanced Academic in seven different levels. ALA university partners provide a pathway (waiver of TOEFL testing) for graduates from ALA’s Level 5 course. ALA university partners issue Conditional Letters of Admission for ALA enrolled and qualified students. ALA partners with Global Student Exchange (GSE) which helps students gain admission into any of the GSE’s 80+ private boarding and day high schools across 28 states. The high school partners will provide Conditional Letters of Admission for qualified students. 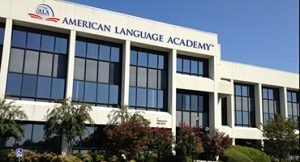 ALA locations have qualified teachers with B.A./M.A./Ph.D TESOL degrees, with many years of experience. ALA locations have small, diverse and interactive classes. ALA locations offer cultural activities, field trips, and social events. *ALA-SUNY Cobleskill has submitted to CEA an application for accreditation. ALA-SUNY Cobleskill is not accredited or authorized to enroll nonimmigrant students under the Form I-20 at this time. *ALA international locations are not accredited by CEA. *Some ALA campuses have American family homestays available. ￼Our mission is to provide the best learning experiences and support to English learners to meet their learning needs for academic, professional and social purposes. The ALA leadership promises to give every students what we consider the best value and quality of ESL education in the world. We thank you for the opportunity to earn your trust. We have many options to help you achieve your English language goals. We offer various programs to fit your needs. You can study full time or part time, at one of our four centers in USA or through “Sky Campus” on-line distance learning. Begin your future with ALA. We can be your pathway to success.